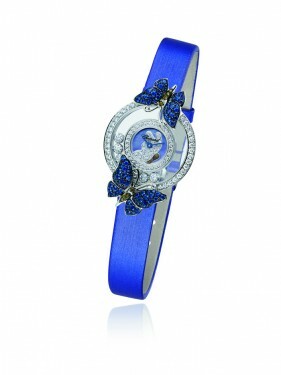 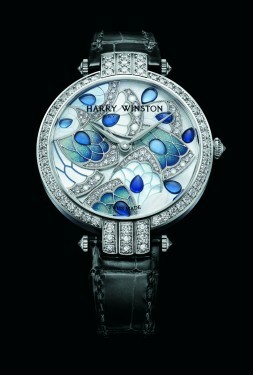 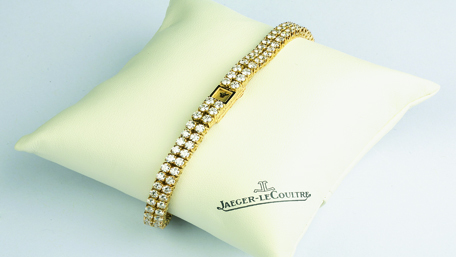 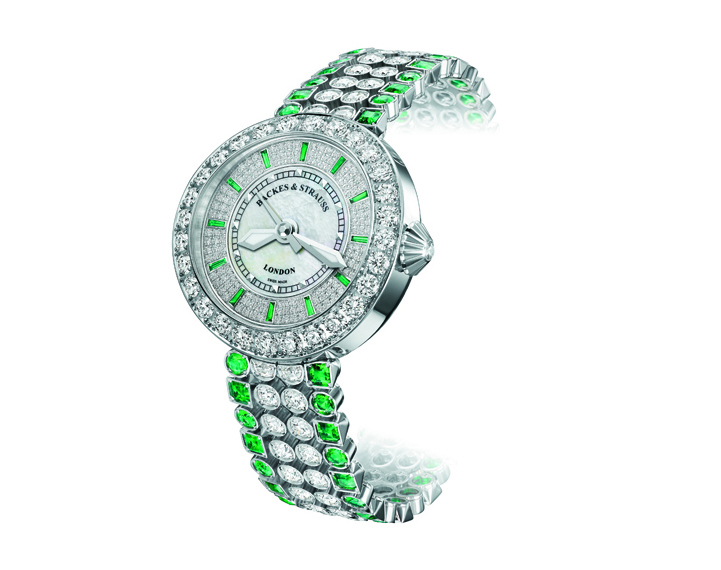 18ct white gold case set with 335 diamonds and 78 sapphires. 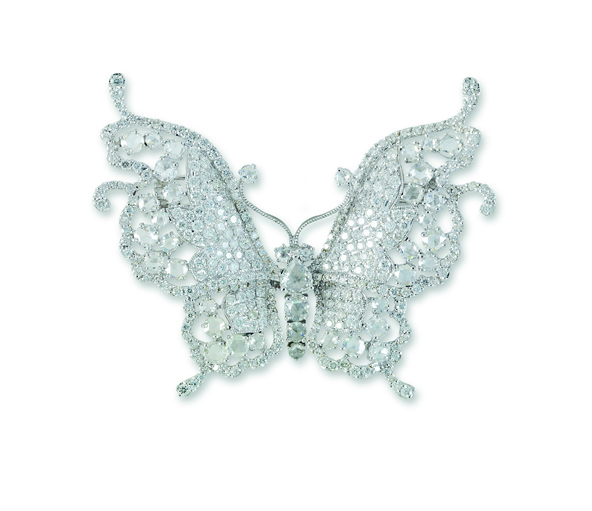 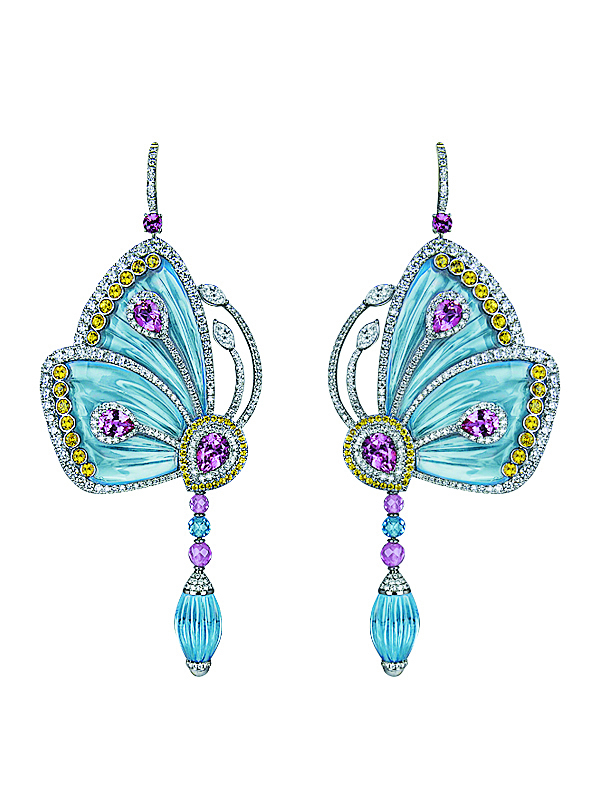 The wings of the butterfly are comprised of a highly sculptural arrangement of four dazzling pear shape diamonds, appear to hover above a layer of intricately set gemstones, ready to take off in flight. 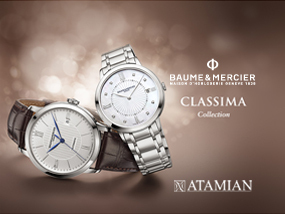 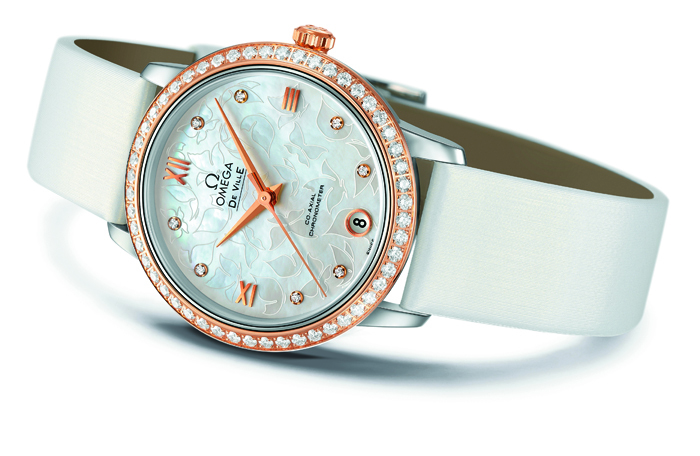 Bicolor case in steel and red gold, bezel set with diamonds, white pearled mother-of-pearl dial with butterfly motif. Earrings in blue topaz with pink tourmaline, yellow sapphires, marquise cut diamonds and white diamonds. 18ct white gold case set with 63 brillant-cut diamonds, dial in mother-of-pearl marquetry (matt, engraved, painted or in three dimensions) and straw enamel, set with 11 pear shape cabochon-cut sapphires and 54 brilliant-cut diamonds. 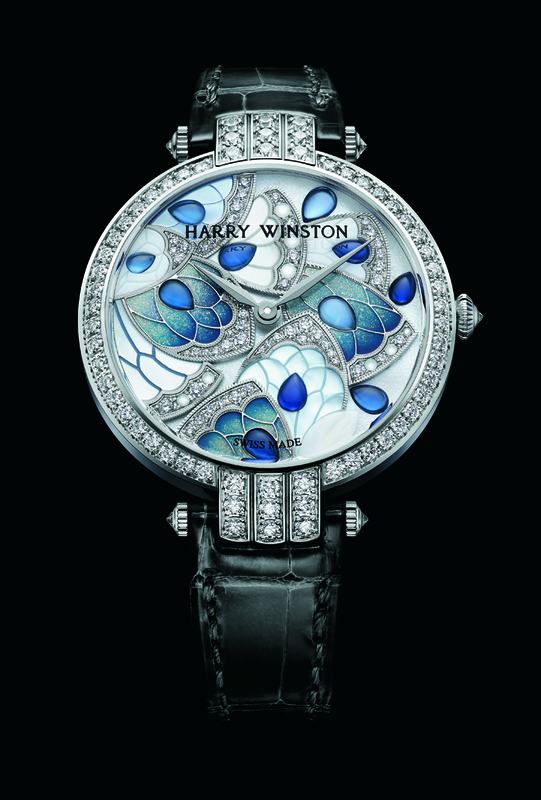 Diamond set case decorated with two butterflies in relief entirely set with sapphires and brown diamonds, 7 mobile diamonds, a diamond butterfly rests on a purple mother-of-pearl dial.